July was quite dry apart from a few thundery downpours, giving us a grand total of 59mm of rain for the month. See the weather page for larger image of the graph. 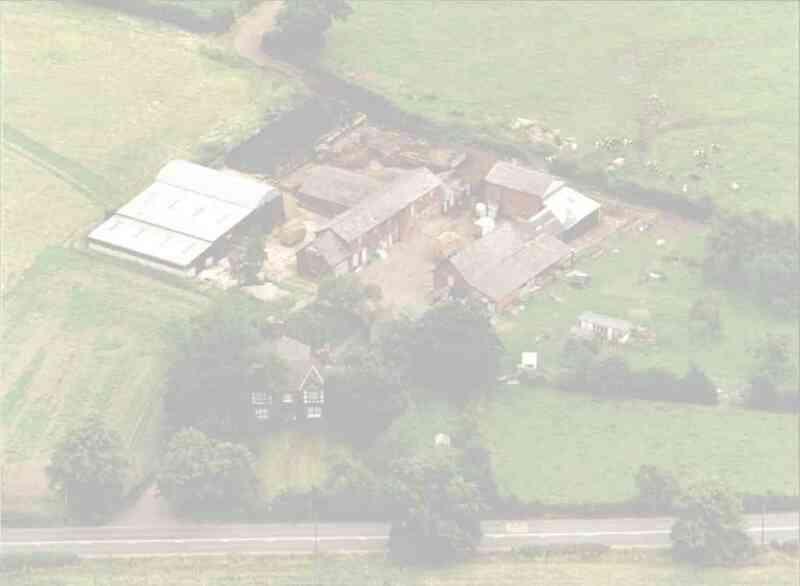 We have continued with our building project and have also been welcoming visitors to the farm nature trail. Also we have been visited by the lower sixth Biology group from Holmes Chapel school studying pond stream and river life together with the hedgerows. All have enjoyed it and want to come again. The age spectrum seems to be year 5 through to sixth form so as we hope we can suit most needs. Besides he visitors we have been visiting and have appeared at two school fairs being Bolin and Vernon these were a great success and has made us look at going back on the road details next month if it works out. The electricity problems seem to finally be coming to an end and we now have the three phase connection connected. 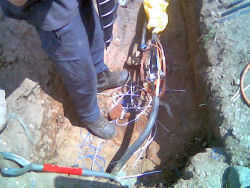 We are waiting for a new meter to be fitted then it will be over to our own electrician. Also this month we were visited by Andrea (see august 2001) who when she last visited was a would-be vetnary student. Andrea has now just finished her third year at Cambridge University. This photo shows Andrea in action again in the milking parlour. 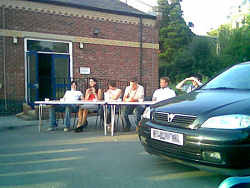 The Middlewich young farmers Lawrence cup quiz competition was held on a hot evening so hot in fact we moved the event outside, as this picture shows. In the music round of the competition we used a car stereo system to provide the sound source. Speech and quiz rounds to follow and soon the junior quiz where Middlewich have a tough first round draw against Sandbach both Simon and Sarah are now active club members. Andy has been finding strange things down in the river so I’ll leave it to him to explain. Actually Phil I will explain it in the August nature report, however click here for the July report.